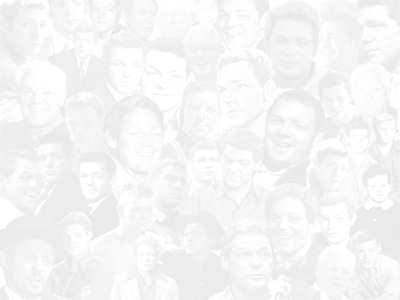 James MacArthur Official Website: Welcome To My Digital Scrapbook! A comedy in two acts by Ron Clark and Sam Bobrick. When a married woman and her lover lie in wait in a tacky motel room, plotting and planning to murder the woman's husband when he arrives, mirth isn't the first response one would normally expect -- unless, that is, the wife is ditzy Arlene Miller, the husband bland and staid Paul Miller, and the lover a buffoon like Mitchell Lovell, who also happens to be the Millers' dentist. This riotous comedy opens with Arlene and Mitch having concocted a ludicrous scheme to lure an unsuspecting Paul to the motel room so they can murder him and make it look like suicide, leaving Arlene free to marry Mitch. They soon realize, however, that their plan is sorely lacking in a key area -- the method. Dreaming up and then quickly discarding a number of outrageously ridiculous ideas, they are caught short when Paul innocently answers his wife's summons and discovers, much to his dismay, that he is to die. Quite understandably, he objects. A lot. The hilarity increases as things become increasingly absurd, with Act II taking place in the same motel room six months later. This time it's Paul and Arlene plotting Mitch's demise. We soon learn that although the couple have not reconciled, neither are Mitch and Arlene still a pair. It seems Arlene caught Mitch in a compromising position with his dental assistant. Now she wants her revenge, and Paul is only too happy to lend a hand. Not surprisingly, this murder plan achieves no greater success than the first. The final act finds Mitch and Paul now in cahoots and -- who else? -- Arlene on the receiving end of their bizarre machinations. She has thrown over both men, choosing instead to succumb to the oily charms of a self-help guru. Feeling she and her new lover both deserve the worst, the men plan to murder Arlene and pin it on their successor. Will anybody ever murder anybody else in this screamingly funny farce? Will Arlene go back to Paul, choose Mitch, or remain with her latest paramour? Or will Mitch and Paul decide they are a match made in heaven? Whatever happens, this deliciously clever romp will leave its audience rolling on the floor by the time the curtain falls on the final witty line. Site Layout and All Original Site Content © 2001-11 curator@jamesmacarthur.com. All rights reserved. Site best viewed at 800x600 or higher screen resolution.